As you can see, Paul the Apostle is telling us (believers) there is a treasure deposited in our heart by God. Treasure, by definition, lets us know the value of this deposit. If you just try to see gold, silver, money, or possessions you will miss the true treasure. You have been given eternal life, new birth which is a second chance, and peace with the Lord. In this life there is authority to overcome bondages, addictions, sickness, disease, poverty and much more. Our treasure for this article is the “kingdom of God”. Since we have been told to seek the kingdom here are reasons why. We can and will have God’s help in housing, clothing, food, and all else that pertains to life as we seek the Kingdom of God; however, how we can we not worry? Is this for real, in 2012? Yes, it is! Is this truly possible? Yes it is possible, but you need to learn this from God’s Word. Let us consider what are His ways and methods for us to operate in His Kingdom. 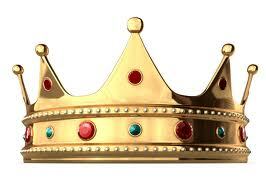 History tells us that kings considered themselves divinely ordained, so their word was law. based on the love of its God, ours is. 4. Here is a very good word from the treasure chest of God. 3 John 2 Beloved, I pray that you may prosper in all things and be in health, just as your soul prospers. The promises in Jesus are yes and amen. They are not yes; no or maybe as some believe. You can depend on them for your life. God will show Himself through us through the promises being answered for believers. There is treasure deposited in the heart of every believer. The treasure is deposited within us through the new birth in Jesus Christ. Then the Holy Spirit begins to reveal these kingdom truths for living as you read your Bible and attend a church that teaches the Word. We pray God’s best for you in 2012.